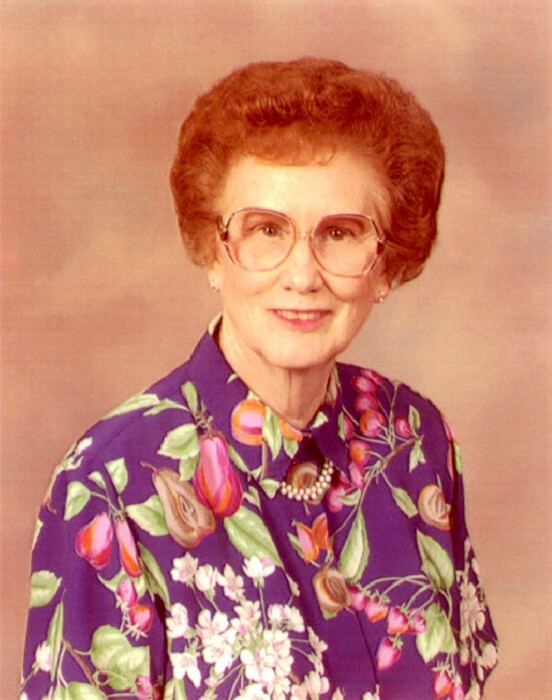 Frances LaTreece (Penny) Taylor Gaither, 92, was born on April 20, 1926 in Reagor Springs, Texas to the late James Parks Taylor and Martha Ellen Meador Taylor. She was the youngest of their nine children. LaTreece entered the presence of God on February 2, 2019 following a brief illness. In 1946, while working at Citizens National Bank in Waxahachie, she met a young sailor, O.D. Gaither, who had just been discharged from the Navy and had returned home to Ellis County. Many friends and family attended the celebration honoring the 70th anniversary of their marriage on December 21, 2016. The Gaithers have lived in Red Oak since the early 1950’s. They attended First Baptist Church and Eastridge Baptist Church. LaTreece taught the Willing Workers ladies Sunday school class at First Baptist for 50 years. She had an extensive knowledge of the Bible and had been blessed with spiritual wisdom. Family and friends frequently sought her advice and prayer in all types of situations. Family members remember LaTreece as being the Rock of the family. She was always willing to help anyone who was in need. She set the Christ-like example for her family and everyone who knew her. Long time friends remember LaTreece as being feisty and loving. Penny began her working career at Citizens National Bank in Waxahachie. Her longtime nickname was cemented when a fellow bank employee was describing her hair to a blind co-worker as similar to the copper-colored coin. In 1952, she began traveling from Red Oak by bus to Dallas to work for Southland Life Insurance Company. She retired from Southland after 32 years of service in 1984. She then worked part-time at the Farmers Insurance Office in Red Oak from 2001 until 2011 and finally retired at age 85. LaTreece was preceded in death by her husband of 71 1/2 years, Olen Dean Gaither, her father and mother and by her three brothers, Robert, Loyd (Curly), and Odell (Peck), her five sisters, Leonis Cheek, Virgie Mae Treese, Jamie Wilsford, Bernice Reynolds and Omega Wood. Survivors include daughter, Carla Dean Gaither of Longview, son Steve Gaither and wife, Laquita, of DeSoto. Grandchildren Blake Charles Erskine, Jr. and wife, Tammy, of Austin; Daphne Dean Erskine Scott and husband, Blake, of Longview; Jeremy Gaither and wife, Maribeth, of Round Rock; Michael Gaither and wife, Natalie, of Duncanville. Great-grandchildren Sophia and Olivia Erskine; Wyatt, Georgia Dean and Mary Blake Scott; Gabrielle de la Cruz and husband, Bryan Goodrow; and Madeline “Maddie” and Auden “Audie” Gaither; and numerous nieces and nephews. The family would like to thank the staff of Baylor Scott & White Hospital of Waxahachie, Charlton Methodist Rehabilitation Hospital, Park Manor Health Care and Rehabilitation and Reliant at Home for their loving kindness and gentle care of LaTreece during her final days. She also appreciated the many visits, calls, cards, gifts and prayers from extended family members and friends. The celebration of LaTreece’s life will be on Wednesday at 2:00 p.m. at Eastridge Baptist Church located at 732 East Ovilla Rd., Red Oak, Texas 75154. Visitation with the family will be at 1:00 p.m. prior to the service. In lieu of flowers, LaTreece requested that contributions be made to Eastridge Baptist Church Building Fund, 732 East Ovilla Rd., Red Oak, Texas 75154, or to the charity of your choice. Arrangements are under the direction of Wayne Boze Funeral Home located at 1826 W. Hwy 287 Business Waxahachie, Texas 75165.